At Expertise, we also carry out quarter glass repair. Quarter glass repair or quarter light replacement on automobiles and closed carriages can be a side window in the front door. They can also be located on each side of the car just forward of or behind the rear window of the vehicle. Not all vehicles have quarter glass, but some models come standard with it. In some cases, the fixed quarter glass will set in the corner or “C-pillar” of the vehicle. Also, quarter glass is also called a valence window. The quarter glass are set on hinges and known as a vent window. 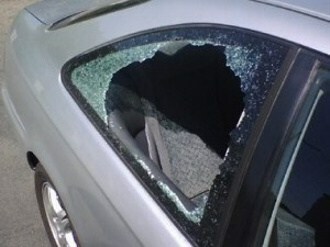 Most often found on older vehicles on the front door, it is a small roughly triangular glass in front door. Though it’s flush with the larger window, it is separated and doesn’t roll down it. There are a few factors to keep in mind. Quarter Glass Repair Cost does vary depending on the area which requires the repair. Some quarter glass areas require more material than other areas. Though it’s easy to overlook, Quarter Glass Repair is difficult and should always be performed by an experienced technician. With 55 years combined experience, we have the tools and knowledge to get the job done, regardless of the circumstances. So, call us today for a quote or to schedule your service with one of our trained and experienced technicians today. We serve Lancaster, York, Harrisburg and Carlisle. I needed my vent glass replaced because of a burglar. Not many places offer this service, but Expertise does. I’m so glad I found them. – Sam S.
As a local dealership, we use Expertise for all our windshield repairs and replacements. – Chris G.
Thank you Expertise Auto! Money well spent! – Denise V.